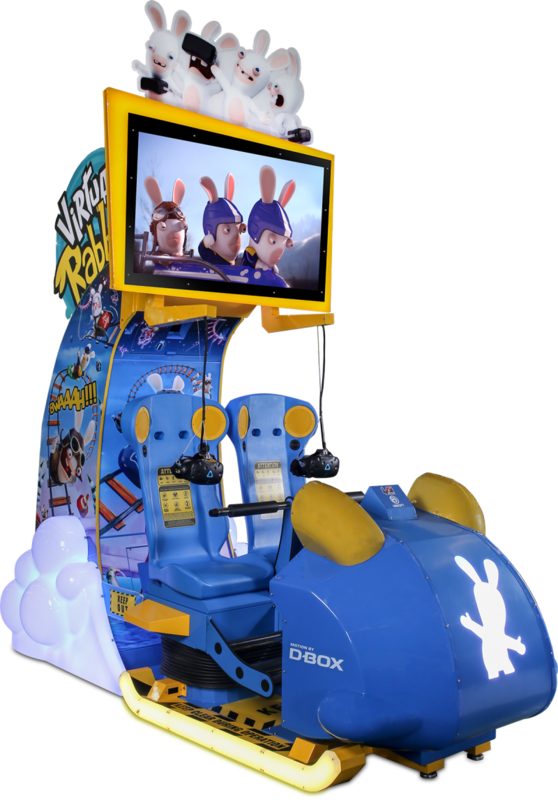 Dallas, TX USA – May 2018 – Award-winning manufacturer LAI Games will showcase Virtual Rabbids: The Big Ride at the Future of Immersive Leisure (FOIL) conference in Las Vegas. The event highlights new technologies, tools, trends, business models and innovations in immersive experiences for out-of-home entertainment venues. The Big Ride, the industry’s first unattended, coin-op style VR attraction, will be featured in the immersive technology showcase at the conference, which also includes offerings from Blueprint Reality, Shell Games, Springboard VR, and more. In addition to the showcase, the event consists of two days of conference sessions with speakers from pioneering VR companies, including Virtual Rabbids collaborators Ubisoft and D-Box. Future of Immersive Leisure is designed to give a holistic, expansive view of the immersive technologies that are transforming out-of-home entertainment. The event is aimed at facilitating understanding of the business opportunities and constraints of immersive technology, as well as critical connection building and networking opportunities among attraction owners, technology innovators, and investors. The Big Ride provides a VR experience that will entertain enthusiasts and first-time users alike. It was created in partnership with pioneering video game developer Ubisoft and features the global powerhouse Rabbids brand in three thrilling experiences suitable for all ages. Employing state-of-the-art technology including a D-Box motion platform, HTC Vive headsets, dynamic wind simulation and hi-fi audio, The Big Ride is an unforgettable experience for guests and a winner with operators. Experience The Big Ride for yourself at FOIL Booth 412, or find complete information here.